The Course de Noel or Cursa de Natale is open to all. Starting and finishing at Port Hercule, the route takes in the Grand Prix circuit, Larvotto Beach, and the Rocher. Participants of the 10km run receive a t-shirt. There's also an event village, cups and trophies to be won, and a tombola. Organized by the Association Sportive de la Surete Publique. 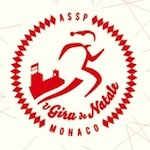 For more information and registration, phone 06 13 21 33 87, email asspmonaco[at]aol.com and visit the event website at: U Giru de Natale.